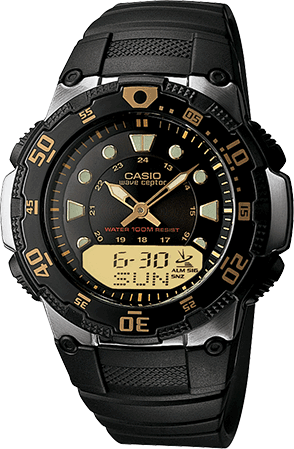 Self Adjusting Atomic Timekeeping performance in Multi-task 200M Water Resistant case. 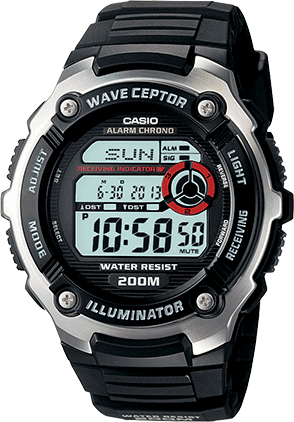 Black Digital Wave Ceptor Watch with Resin Band featuring Countdown Timer, World Time, 1/100 Second Stopwatch and EL backlight with Afterglow. 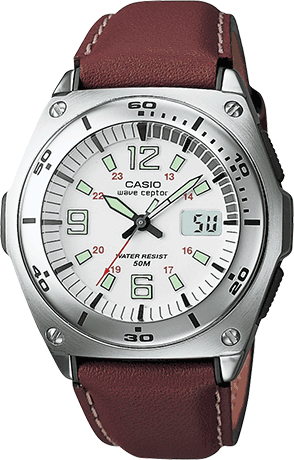 If accuracy and easy to read are a must this model offers both in sleek and sporty design. 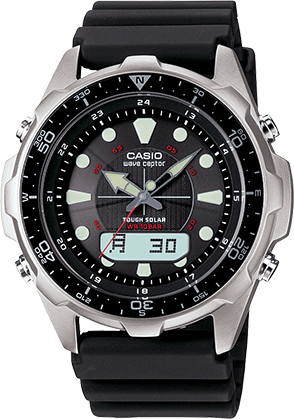 This solar atomic watch is designed with a large case and stainless steel bezel & buttons to create a look that is performance driven, yet remains sophisticated. 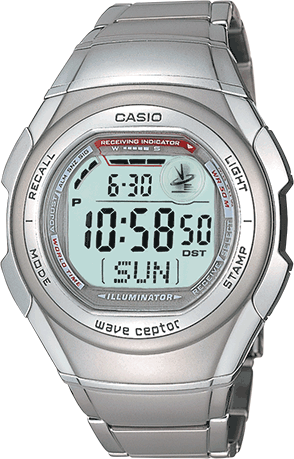 Silver Digital Wave Ceptor Watch with Metal Band featuring Countdown Timer, World Time, 1/100 Second Stopwatch and EL backlight with Afterglow. 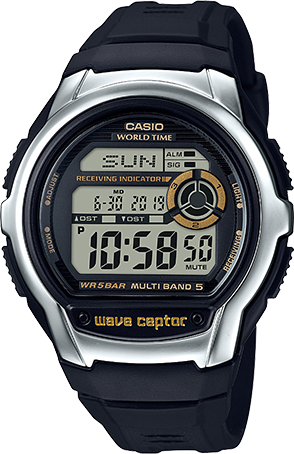 The WVA320 series watch is more powerful and more accurate than before thanks to Solar Power and Waveceptor Atomic Timekeeping technology. 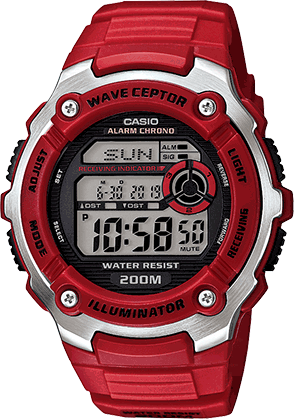 Introducing a new slim case Wave Ceptor design with Multi-Band 5 Atomic Timekeeping and Tough Solar Power. 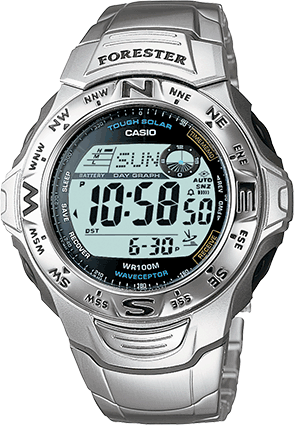 These Solar Atomic watches with Multi-Band 5 functionality have the ability to receive signals from up to 5 towers located worldwide. 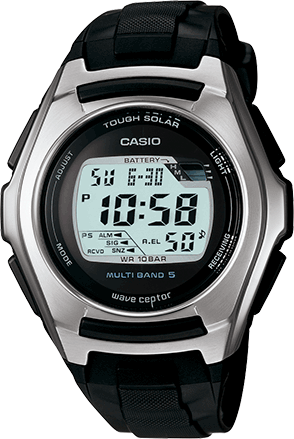 A new solar atomic chronograph with the LCD at the 4 o’clock position and an Auto LED light creates a more fashionable design and makes it easy to use. 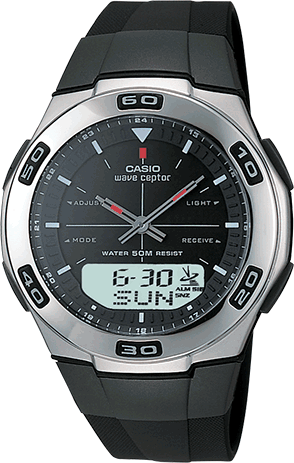 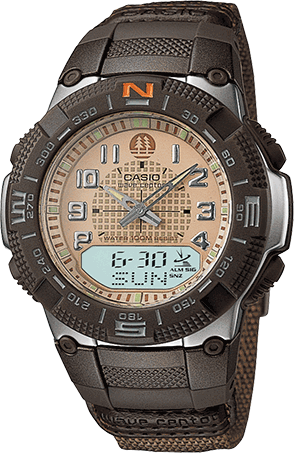 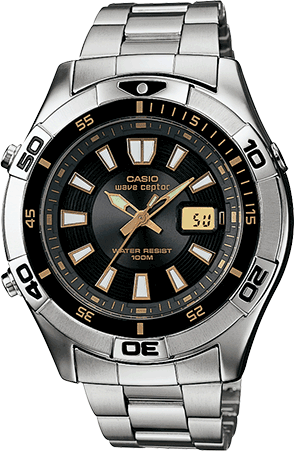 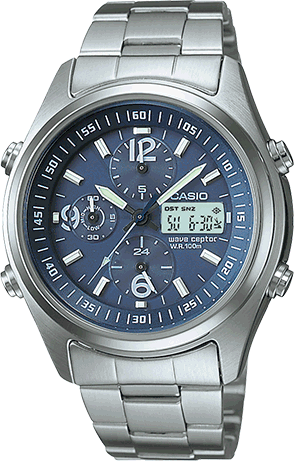 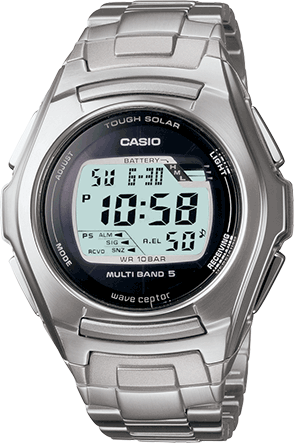 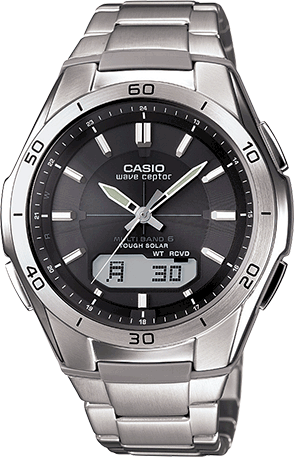 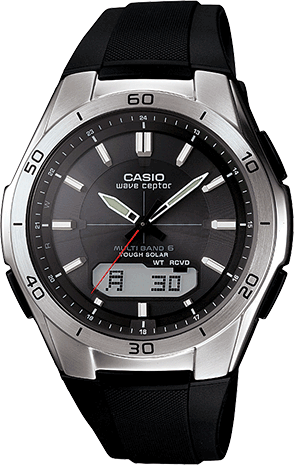 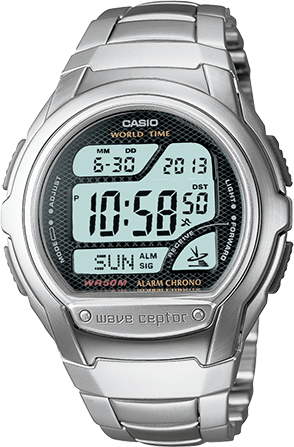 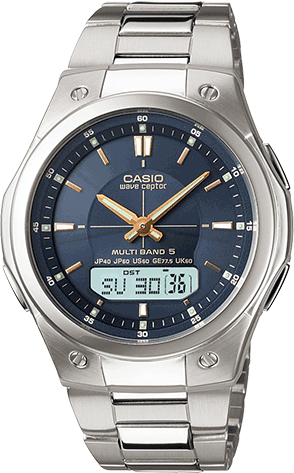 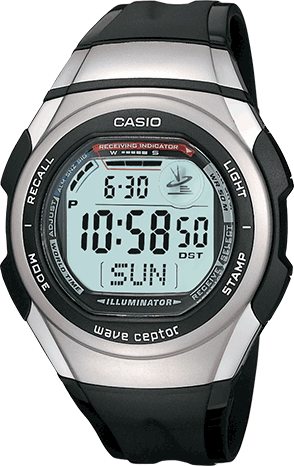 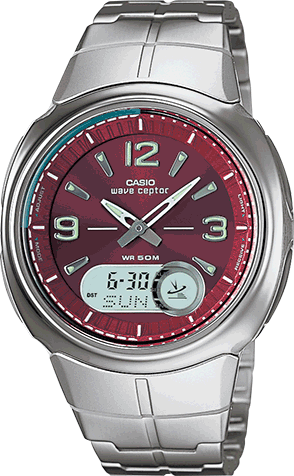 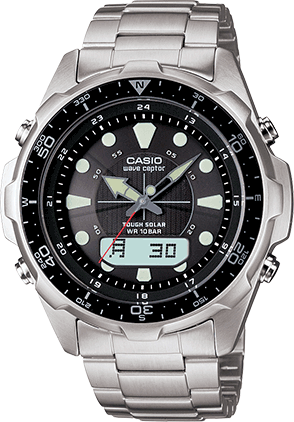 Timed perfectly, Casio watches that feature Atomic Timekeeping are just that. 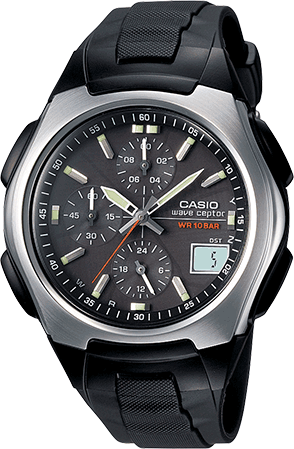 You truly will be on time, all the time. 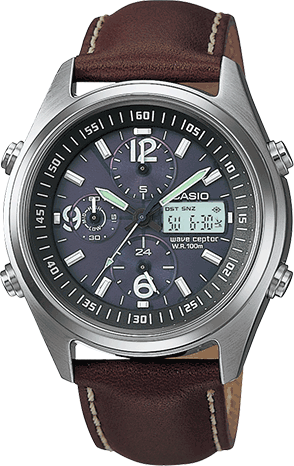 Several times a day the watch receives the official US government time via a time calibration signal from the atomic transmitter in Ft. Collins, CO, eliminating the worry about changing your watch for Daylight Saving Time. 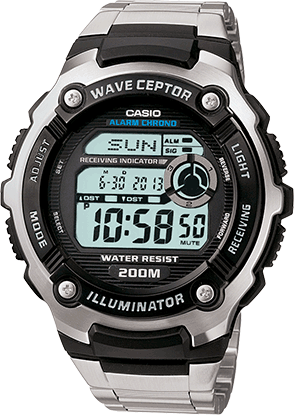 Wave Ceptor Watch featuring Atomic Timekeeping with a Tan Cloth Band and Black Face Color. 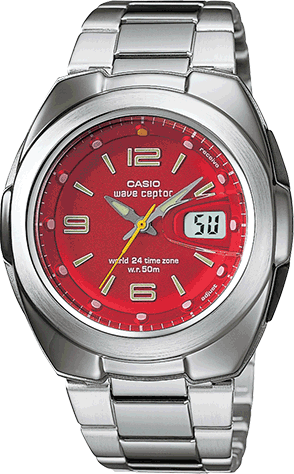 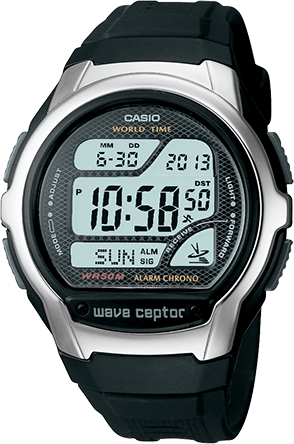 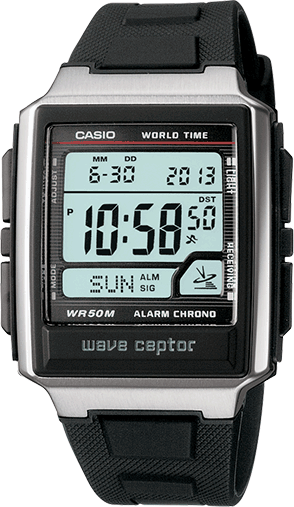 Wave Ceptor Watch featuring Atomic Timekeeping with a Silver Metal Band and Black Face Color. 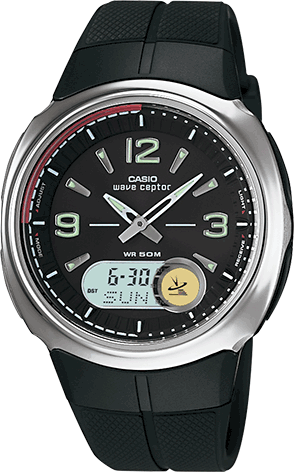 Wave Ceptor Watch featuring Atomic Timekeeping with a Black Resin Band and Black Face Color. 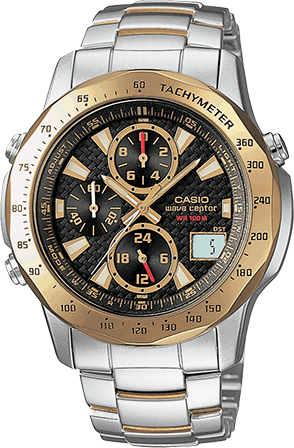 Silver/Gold Chronograph Wave Ceptor Watch with Metal Band featuring Atomic Timekeeping, 1/20 Second Chronograph, Dual Time and 100 Meter Water Resistant. 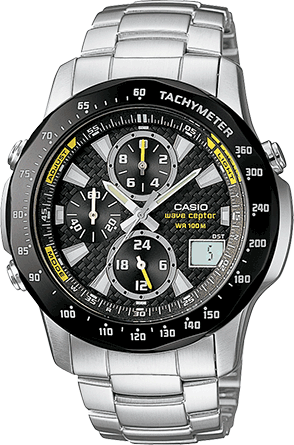 Silver/Black Chronograph Wave Ceptor Watch with Metal Band featuring Atomic Timekeeping, 1/20 Second Chronograph, Dual Time and 100 Meter Water Resistant. 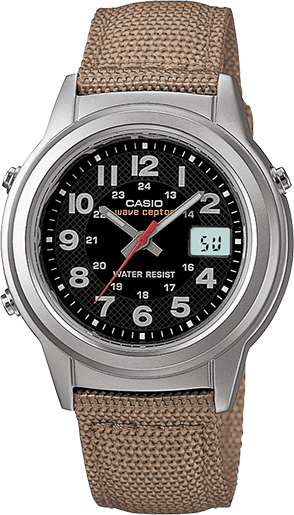 Brown Wave Ceptor Watch with Analog Dial Code. 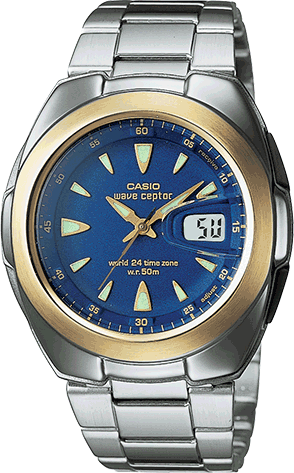 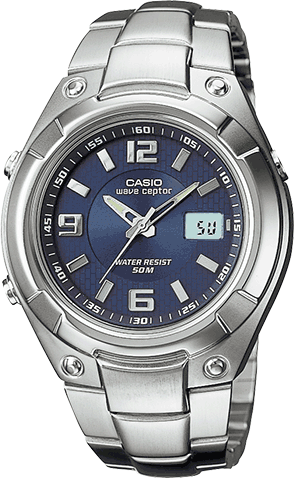 Blue Wave Ceptor Watch with Stainless Steel Band and Analog Dial Code. 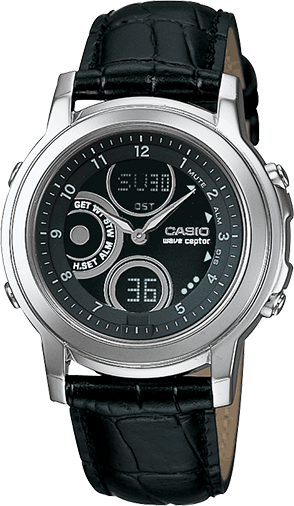 An elegant Ladies Wave Ceptor Watch featuring a black leather band, analog and digital timekeeping, daily alarm and Multi-Band Atomic Timekeeping. 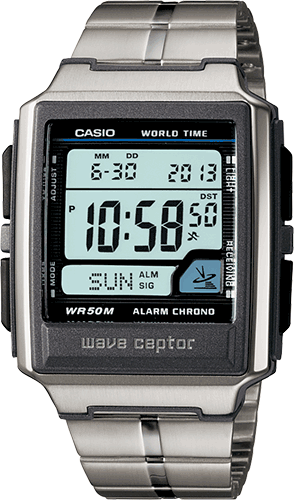 Several times a day the watch receives the official US government time via a time calibration signal from the atomic transmitter in Ft. Collins, CO. Black Ana-Digi Wave Ceptor Watch with a Resin Band. 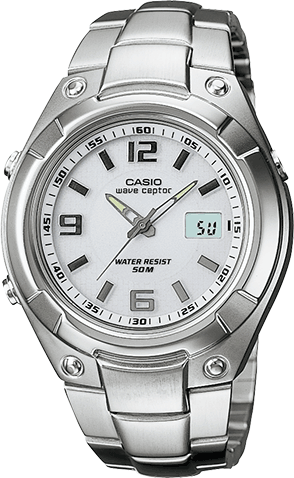 Several times a day the watch receives the official US government time via a time calibration signal from the atomic transmitter in Ft. Collins, CO. White Wave Ceptor Watch featuring Atomic Timekeeping with a Leather Band.